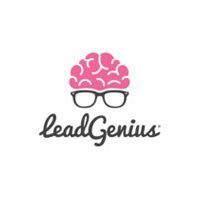 LeadGenius is the most effective way to equip data-driven sales and marketing teams with actionable, validated B2B lead data at scale. Using a combination of big data, machine learning, and real human judgement, LeadGenius provides an automated, end-to-end sales software suite that helps some of the biggest brands find and connect with lasting customers. Founded in 2011 with roots at UC Berkeley, LeadGenius is a fast growing SaaS company with the heart of a social enterprise and an impact mission: providing meaningful opportunities to underemployed individuals with digital skills anywhere in the world.